The new Range Rover and Range Rover Sport have only recently been launched but demand is so high they're both racking up long waiting lists. Both cars are based on the same aluminium chassis and look outwardly similar, but only share 25% of components. Both are over 400kg lighter than their predecessors, and are vastly superior machines. In my review of the Range Rover Sport I said: "Never before has a new model so completely obliterated its predecessor"
Buyers think so too. Demand is running 40% higher than Land Rover had anticipated. 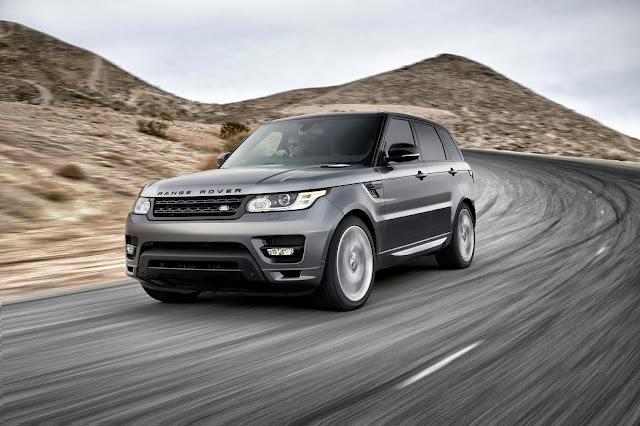 The waiting list for the Range Rover is 6 months and for the Sport it is 9 months. The Solihull factory that churns out both cars is working 3 shift patterns to produce Range Rovers 24 hours a day, 7 days a week. And it can't increase production any more than that without building new factories. To make matters worse the engine suppliers, Ford, won't increase its capacity so even if Jaguar Land Rover could increase its car building capacity it wouldn't have enough engines to put in them. Demand in China is so high that buyers are paying premiums equivalent to £50,000 on top of a list price of £284,000. Huge margins on the Range Rover and Sport are almost single handedly funding Jaguar Land Rover's investment for the future in terms of factories, technology and new models. The company will create 1,700 new jobs on the back of a £1.5 billion investment, which includes its own engine plant - scheduled to start production in 2015. JLR's owner, Tata, pledged to support the investment but so far the company is doing a good job of providing the cash itself. It's no wonder Jaguar is planning its own SUV, based on the C-X17 concept.